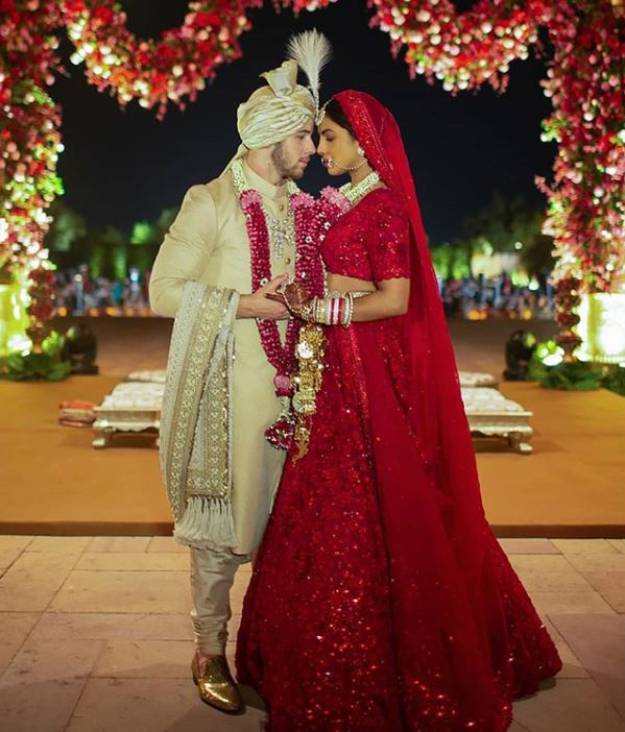 After Deepika Padukone and Ranveer Singh’s wedding took the world by storm, it was Priyanka Chopra and Nick Jonas’s turn to catch up. The latter tied the knot in Jodhpur in a Christian ceremony which was officiated by Nick’s father, followed by a traditional Hindu wedding. Priyanka and Nick announced their engagement in August this year after a whirlwind summer of romance. The two first crossed paths at Met Gala 2017 where they sported outfits by international designer Ralph Lauren. 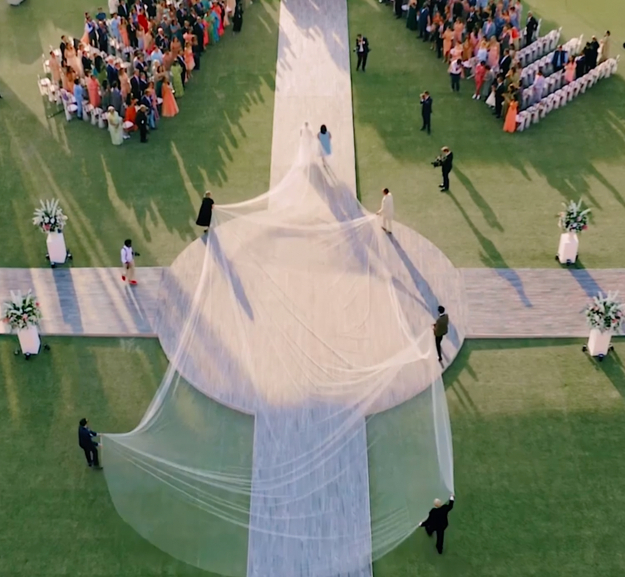 So when it came to choosing a designer for the wedding, the couple couldn’t have asked for a better way to symbolise their love than having the same brand make their ensembles. The designer personally delivered the dress to the Bajirao Mastani star who instantly fell in love with it. Her hand-beaded and hand-embroidered dress featured floral and scroll motifs, lace-effect tulle appliqués, scalloped sleeves and a high-neck collar. According to the brand, the embroidery took a total of 1,826 hours to complete. But the intricacies didn’t stop there. Under her gown, Priyanka wore a strapless column dress made up of 2,380,000 mother of pearl sequins. 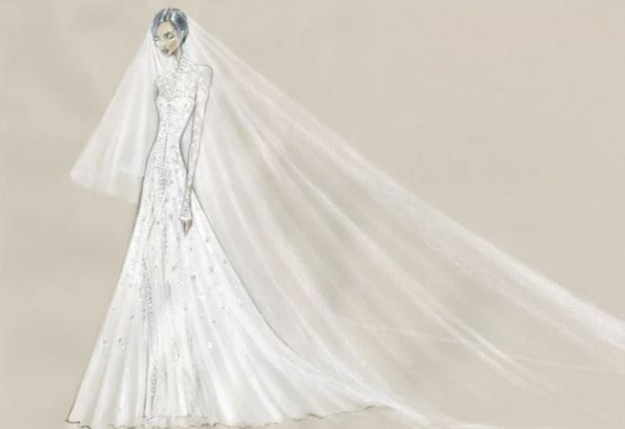 To top it off, the 36-year-old star opted for a 75-feet-long veil paired with custom Jimmy Choo shoes. The bride also wanted to honour her family and special moments from her life. 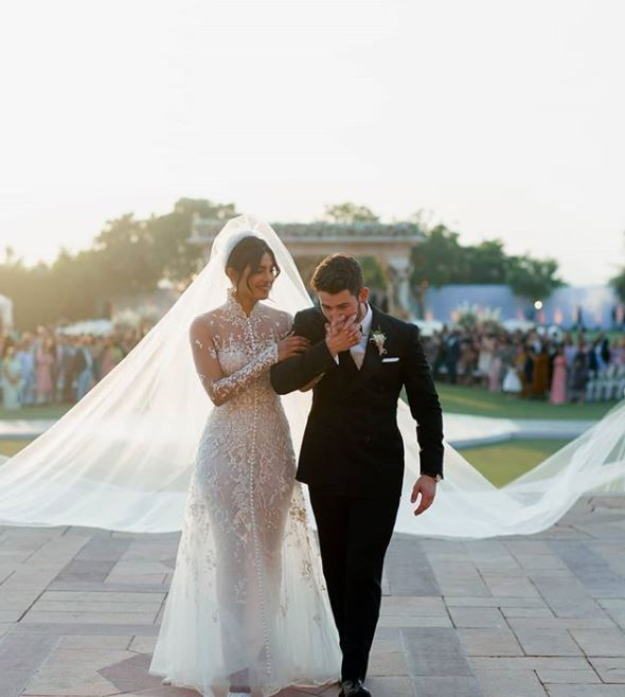 She asked the Ralph Lauren team to stitch Nick’s full name Nicholas Jerry Jonas, their wedding date and her parents’ names – Madhu and Ashok – stitched into the dress. 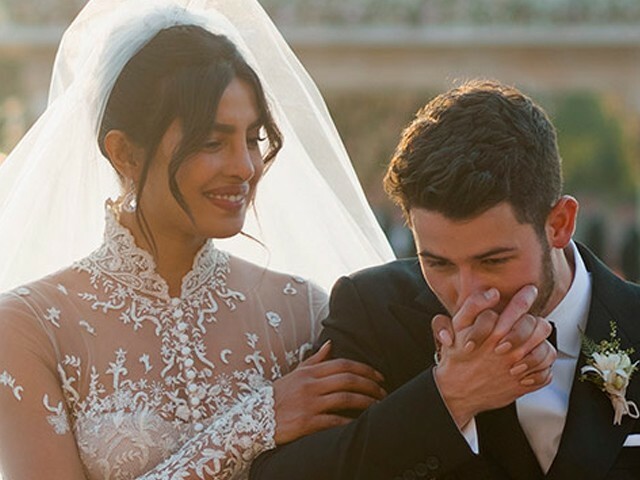 Priyanka also had a piece of her now mother-in-law, Denise Jonas’ lace wedding dress sewn into her gown. On December 2, the couple had the traditional Indian wedding ceremony where Priyanka wore a Sabyasachi red lehenga, which featured elaborate beading and embroidery. The designer stated that the dress took “110 embroiderers and 3,720 hours to make the hand-cute organza flowers, French knots, and layers of thread work”. Much like her white dress, even the Sabyasachi creation featured the names of her husband and parents in Hindi.